In recent years, users Facebook they began to realize increasingly more important as are privacy settings personal accounts. Many of them do not realize, however, that anything that is posted in social networking has no expiration date: virtually Facebook keeps each post / update made by users since the creation of the first accounts 10 years ago. And some of these posts may be things that users would not stop posting now, or have privacy settings different from those currently used (if in a few years ago that you had set your updates to be publicEven if now you only friends have access to them, the more likely that updates can still be viewed by anyone). Fortunately users Facebook they provide some Feature Links allowing reviewing older posts si deletion or limiting visibility for them. 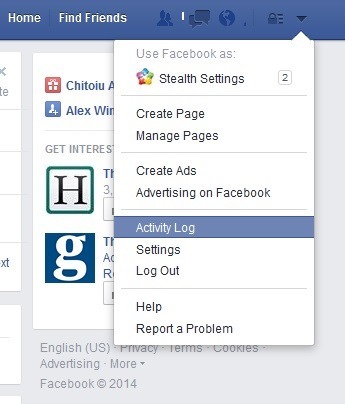 If you want to see all the activity on your personal account Facebook since its creation, you have Activity Log. Even for users who have account Facebook years Activity Log may seem overwhelming, they provide a series of filters displayed on the left of the page that can separate activities depending on their type (eg, Your posts displays only posts by you, Likes displays all data like sites, Comments displays the comments made and Pictures photos and pictures uploaded). 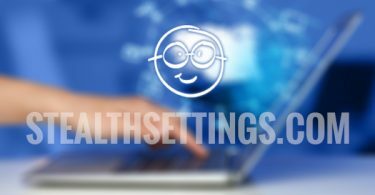 Using these filters, you can revise previous activities on Facebook and to hide or limit their visibility using the options displayed to them. 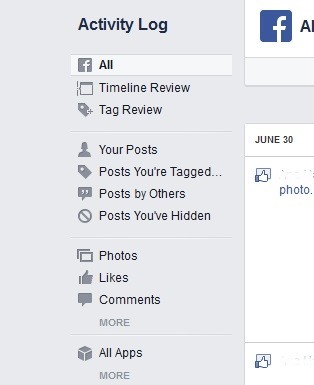 If you want to limit all previous posts (If they are publicly available yet), Facebook offers a quick option: navigate in Settings> PrivacyThen on the right, under Who CAN see my stuff you have the option Past Posts Limit (This option limits the visibility of older posts were public so that only those friends list they have to have access to it). If you wish to hide all older postsUnfortunately you will have to make manualFor each post separately (in Timeline or Activity Log). Another thing most Facebook users do not know is that it Facebook stores a history of search performed by them in the network. Although Facebook search history is visible only to you, anyone with access to your personal account has access ala this (and most likely you and search you want to keep them private). Fortunately Facebook allows delete search history on Facebook (they can be deleted or individually clicking crossed circle appears beside each search either by clicking on Clear Searches, Action will delete all history), although it gives users the opportunity to disable its registration (you need to make it clean regularly). If you feel that the actions described above for clean history Facebook account not worth the effort and you prefer to create an account, or simply wish to cancel temporarily or completely to Facebook, you can make a backup account (and implicitly its history) that then you can download on your computer (go to Settings and click on the link Download a copyThen click on the Start My Archive; when the backup is done, click on the button Download ArchiveThen enter account password To start downloading it). 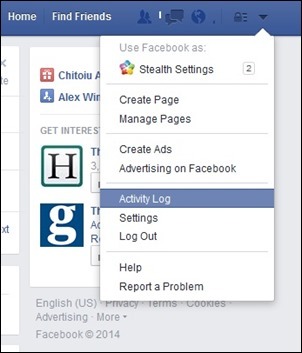 Then in Settings> Security click link Deactivate your account (If you only temporarily disable your Facebook account), Or click on the link https://www.facebook.com/help/delete_account to permanently delete (And irrevocably) your Facebook account.